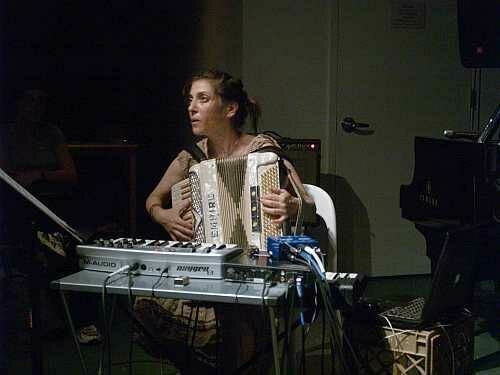 Accordionist/keyboardist Andrea Parkins performs a set of improvisations in a trio featuring guitarist Joe Morris and drummer Michael Sarin. Parkins’ feedback-laced accordion and energetic piano pointillism meshes with Morris’ guitar sound, which his original and unadorned. Sarin propels the group through an interweaving conversation that does not exclude exclamatory fragments, interruptions, and raw balladic ruminations.